There are 6 months more or less, less than 200 days, to the Universal Exposition and while in Milan, between debates and inquiries, preparations for hosting the great event are in full swing, Naples held the European Tourism Forum. 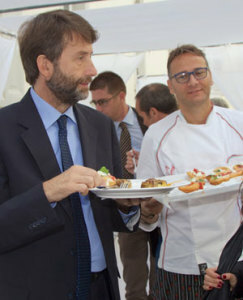 At its XIII edition, the annual meeting, co-organised by the European Commission and a member state, saw sixty tourism ministers, from October 29 to 31, at Madre museum and then at the Royal Palace of Capodimonte, talking about the community strategies and measurements for the sector promotion. An intense agenda for the 2014 edition organized in three days dedicated to the strong connection between tourism and culture and introduced, last Wednesday, by Dario Franceschini tour of the museum. 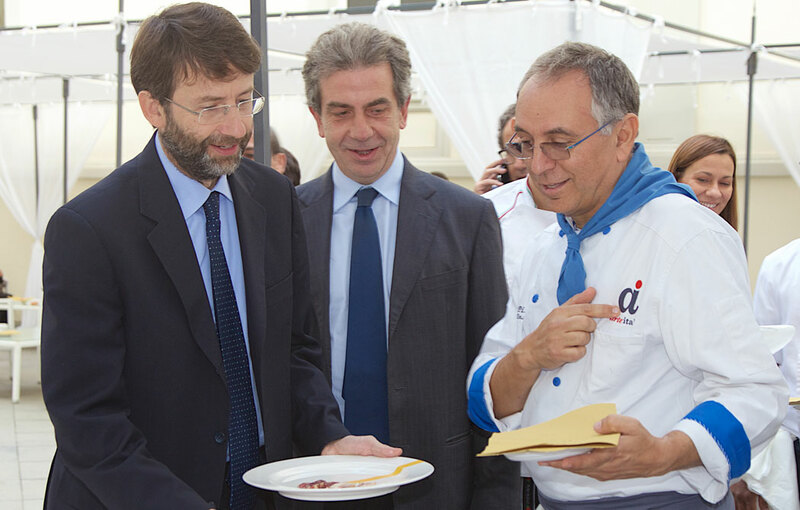 To welcome the Minister of Culture, the Italian regional councilors for culture and tourism and the commissioner for Expo 2015, Giuseppe Sala, the Coccia brothers, Enzo and Ciro, which, for the occasion, made deep-fried pizzas and montanare. Lifeless at all, for the two Neapolitan masters this is a very fervent autumn. Enzo, firstly, celebrated his twenty years of business, then the success at Gastronomika with his pizza San Sebastian, while Ciro recently blew on the first candle of his La Dea Bendata that, in a very short time, managed to be listed among the undeniable addresses for who wants to eat the Neapolitan pizza as it should be. And it could not also end better the October busy schedule of the Museum of Contemporary Art Donnaregina that, in its in 7200 square meters, alternated meetings, exhibitions, screenings and debates. Therefore, eyes on Naples, this time not for its many problems but for its strong tourist and cultural propensity, as noted by the same Franceschini, happy to have chosen the city for the important rendezvous. Now it is our turn to be ready for the unparalleled, unique and exclusive journey that Expo will offer to Milan and all of Italy.